This October, two teams from Itad will be braving the Oxfam Emergency Challenge. The challenge is designed to simulate disaster situations similar to those Oxfam responds to worldwide and our teams will work through challenges that test both fitness and resilience. Strategic, physical and mental challenges including running, cycling, map reading and puzzles, all based around an emergency situation, will have to be completed without access to communications or other equipment, over 12 hours, against more than 70 other teams. The team members include Emily Richardson, Florian Schatz, Melanie Punton, Ed Hedley, Chris Perry, Sarah Standley, David Fleming and Barbora Sladkova. They have been busy raising money through events such as The Great Itad Bake Off, rounder’s and a pub quiz and now have less than two weeks left to fit in last minute training. Our teams have taken on a huge task, but all for a good cause – the funds raised through the challenge will be invested in Oxfam’s programmes, including the current response in and around Syria, Gaza, South Sudan, the Central African Republic and others. The team would great appreciate any contributions to help them reach their fund raising target. To support our teams, please click here. 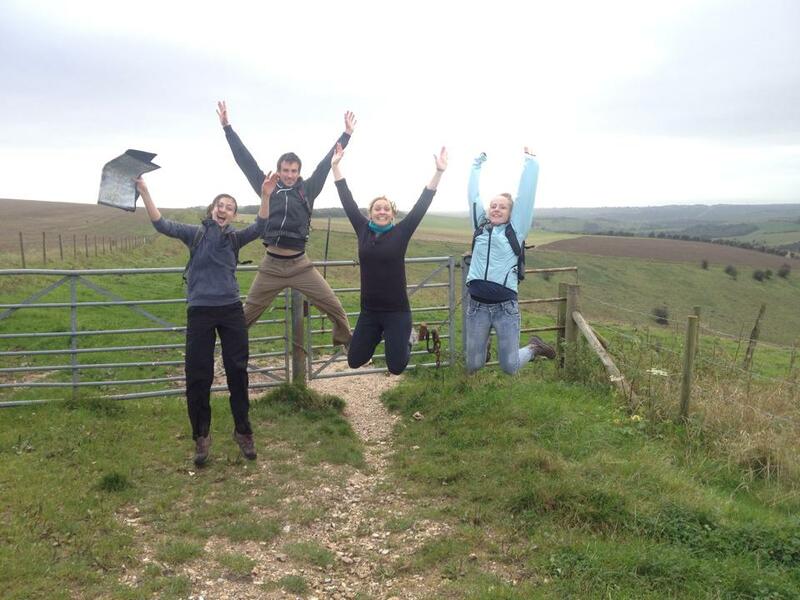 This weekend, our teams went out to practise their map-reading skills, and prepare for the emergency challenge with hikes around the Sussex Downs. With only a few days to go, any support would be greatly appreciated! To support our teams, please click here.